All of our training is done on a one-on-one basis. The most normal schedule is to fly 2-3 times per week with the average session taking 2 hours. The setup will be catered to you so if you are able to fly only certain days and times, we will work with your schedule as much as possible. Training sessions normally consist of a 20 min pre-brief, a 1.5 hour flight, and a 10 min de-brief. What are your flight instructors like? All Flight Instructors at Peak Aviation are extremely enthusiastic, professional, and dedicated to your success and safety as a pilot. Each instructor has been through years of training that has prepared him/her to impart the joy of aviation to you. We have taken the time to develop a safe and efficient training program, and we will cater the training to your schedule. Each of our instructors is unique and the variations allow you to find the instructor that best suits you. Our instructors are all, however, committed to being the best in the business and we hope that shows every time you fly with us! If you are just starting out, please stop by and we will match you with one of our qualified instructors. Please click on the link above called Private Pilot Cost Estimate to learn more about the private pilot certificate. How long does it take to get a sport or private pilot license? It depends on you! Based on how often you are able to fly, the training for the sport license or the private license can take anywhere from 6 weeks up to a year or more. With a normal schedule of 2-3 times per week the average student will be finished in as little as 2-4 months! What if I want to go further? Can I train beyond sport or private pilot at Peak Aviation? Of course!! We have the aircraft and instructors capable of training you from Zero Time through your ATP (Airline Transport Pilot). We also offer mountain training, complex and high performance training and more! Please click here to see cost breakdowns of other ratings. If you would like to find out the total cost associated with training through a commercial or flight instructor rating please stop by to see us! If you have not yet decided to become a pilot, consider an introductory flight at Peak Aviation. All of our intro flights give you control of the plane for up to 95% of the flight, so you really experience what it’s like to fly! Call today for reservations or gift certificates!! Settle in at the controls with a 35-minute flight. This flight is typically done in the Cessna Cardinal, a 4-seat airplane, and you can add another passenger for an additional $25.00. Our most popular package. A full 1-hour flight with all the elements of your 1st lesson. After the flight we expand on how you can best benefit from a pilots license based on your personal situation. Whether career-based, business based or personal, we will answer any questions you have. This flight is typically done in the Cessna Cardinal, a 4-seat airplane, and you can add another passenger for an additional $25.00. We approach learning to fly as an exciting experience. You may fly to relieve stress, challenge your abilities, get away from the routine, or just to prove to yourself you can do it. Or you may be interested in flying as a career. Whatever your goals may be - our goal is always to get you to that goal. Peak Aviation Center is also the only flight training center to offer Sport Pilot Training at Colorado Springs Airport. Visit EAA's Website dedicated to Sport Training to learn more. Our instructors genuinely enjoy teaching you to fly, which makes your learning experience pleasurable. We place a strong emphasis on safety and thoroughness, giving you the training and confidence you need to be a safe pilot. The cost of obtaining the sport or private pilot certificate can vary greatly from student to student. You may be able to achieve the necessary skills and knowledge in the minimum time required or you may be a more average student. Regardless of how quickly you obtain your rating, you can be sure that you will be well trained and well prepared for a bountiful future in flying! The Sport Pilot Certificate requires a minimum of 20 flight hours to obtain. However, for planning you should plan on closer to 25 hours. Training for all of our pilot certificates is done on an individual basis. Training is one-on-one and always with a certificated instructor. We cater our training to your schedule. We recommed that training be done 2-3 times per week with an average of three hours per session, however, we will work around what you are able to do. The cost of the sport certificate is variable for each student, and we can discuss those variations over the phone or in person if you like. Many costs must be considered when obtaining a sport certificate and they are listed below. ** = Associated Cost, not charged by PAC. These costs are based on using our Flight Design CTLS. The costs will decrease with less flight and/or ground time and will increase with additional required flight and/or ground time. If you would like to speak with an instructor about how you can determine your own cost, please do not hesitate to call. Thank you for your interest in Peak Aviation, we look forward to hearing from you! The Private Pilot Certificate requires a minimum of 40 hours of flight time to obtain. However, the national average is closer to 55 hours. Training for all of our pilot certificates is done on an individual basis. Training is one-on-one and always with a certificated instructor. We cater our training to your schedule. We recommend that training be done 2-3 times per week with an average of three hours per session; however, we will work around what you are able to do. The cost of the private certificate is variable for each student, and we can discuss those variations over the phone or in person if you like. There are many costs that must be considered when obtaining a private certificate and they are listed below. ** = Associated Cost, not charged by PA. These costs are based on 50 flight hours before your check ride. The total cost will vary based on how much actual flight time you acquire. If you would like to speak with an instructor about how you can determine your own cost, please do not hesitate to call. Thank you for your interest in the Peak Aviation, we look forward to hearing from you. Advance your flying skills with an IFR. Learn to fly in the clouds! As with all our training, we place a strong emphasis on emergency procedures and professionalism so you are not only prepared to pass the check ride, but are an instrument pilot who will fly confidently for years to come. To pass the test you need 40 hours instrument time, 50 hours of PIC cross-country, a written test, and a practical test. Click here to see a break down of costs. These costs are based on using our 1999 Cessna 172SP. Some students will choose to use our 177B model aircraft for some of the training and/or already have more than 5 hrs of PIC cross country time. If these things are true your cost can be much lower! The total cost will always vary based on how much actual flight time you acquire and based on how much ground time is necessary to ensure that you gain the necessary knowledge. If you would like to speak with an instructor about how you can determine your own cost, please do not hesitate to call. Thank you for your interest in the Peak Aviation...we look forward to hearing from you! No matter how far you wish to go, we can take you there. 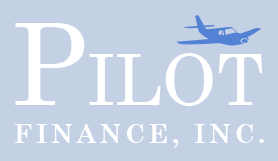 We are happy to recommend Pilot Finance, Inc. for financing your aviation dreams. Please refer to their webpage for more information, or contact us at the Office.